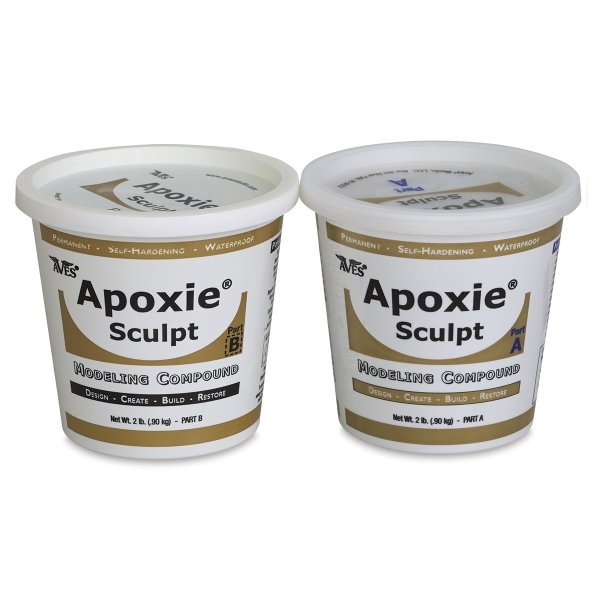 Aves Apoxie Sculpt combines the features and benefits of sculpting clay with the adhesive power of epoxy. Great for sculpting, bonding, embellishing, and filling, it adheres to nearly any surface. It's great for cosplay props and accessories, outdoor displays, and 3-D graphics. ® Aves is a registered trademark.® Apoxie is a registered trademark.